Hours: 11:00AM to 5:00PM, Every Day from Memorial Day Weekend to December 31. 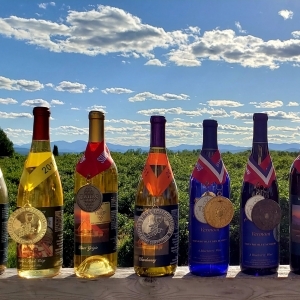 At Charlotte Village Winery, we’re more than just a place to enjoy a bottle of wine. We want to be a destination, and an experience you remember and look forward to. 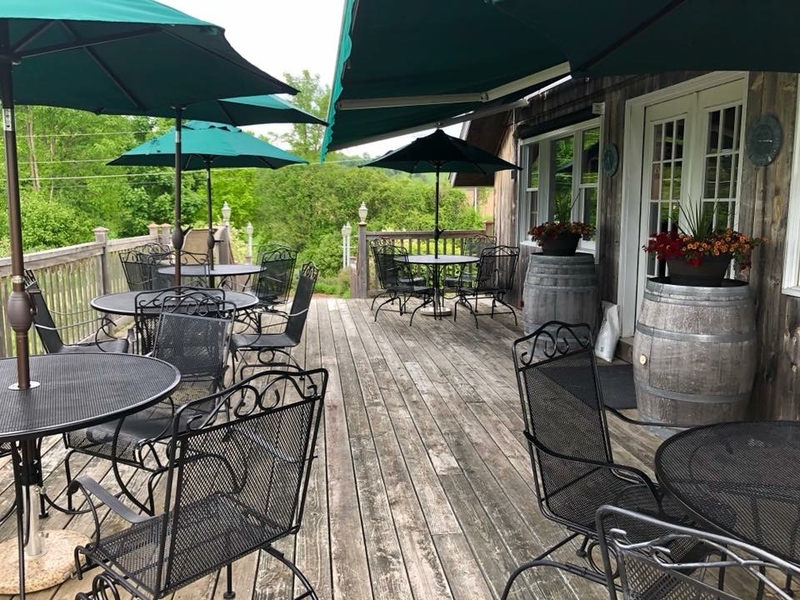 Whether you’re a local stopping by to stock up, or a tourist visiting Vermont for the first time, we want you to have an enjoyable and relaxing experience. Here’s what you can expect. 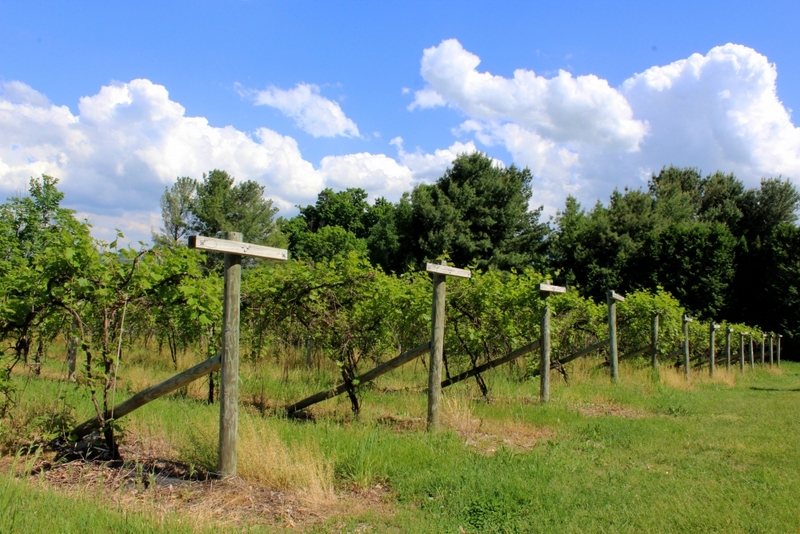 Looking for a winery near Burlington? We’re just a short drive down route 7, about 20 to 25 minutes. It’s a scenic drive, especially in the fall. Enjoy the fall foliage on your way through Shelburne, and then turn right on the Ferry Road toward New York. Then take a left on Greenbush road and you’ll see us in less than a mile. 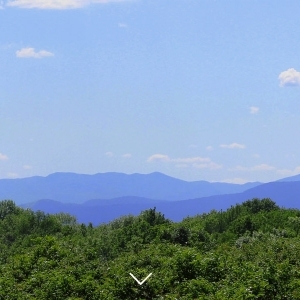 If you’re staying in Burlington and looking to get out into the Vermont countryside for a day, we’re a perfect destination. 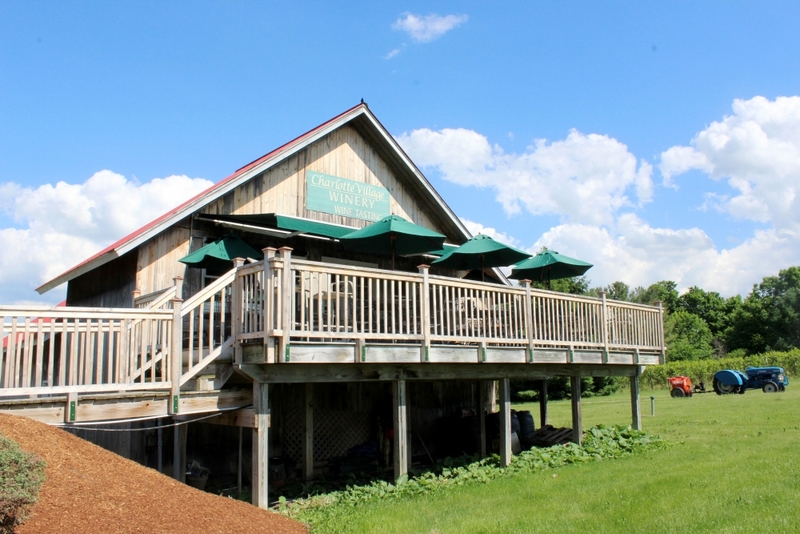 There are plenty of other things to do in the area, including The Old Brick Store, Vermont Cookie Love, Dakin Farms, and Mount Philo State Park. If you’re looking for things to do outside of Burlington, or even something to do when it rains in Vermont, you’ve come to the right place. 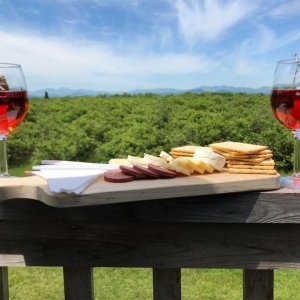 When you arrive, you’ll be greeted by studding views of the Adirondacks from our deck. 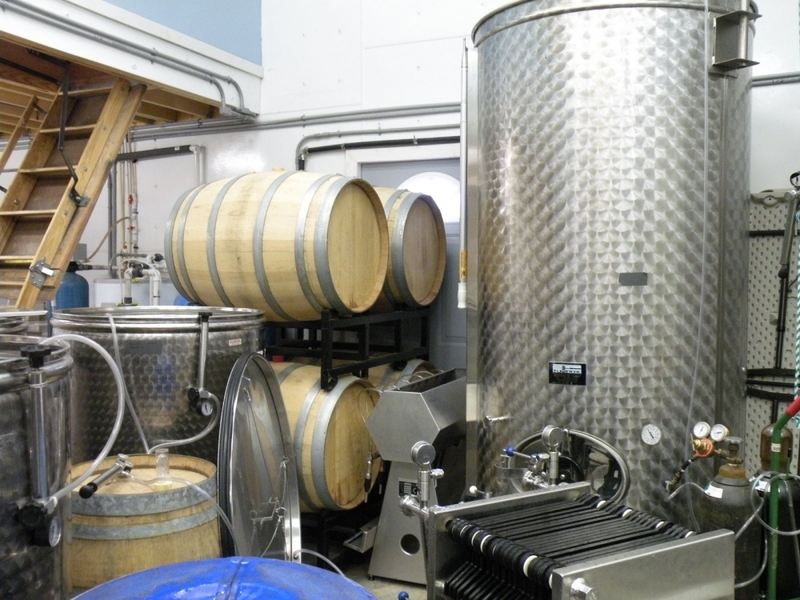 Then come inside and taste our award-winning wine. 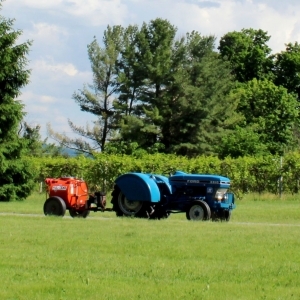 Our wines are hand-crafted and made right here locally in Vermont. 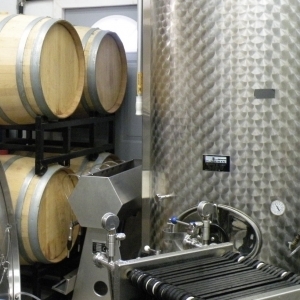 You’ll be able to try deep reds like Merlot and Cabernet Sauvignon, as well as classic whites like Chardonnay and Pinot Grigio. You might be surprised and how good these are! 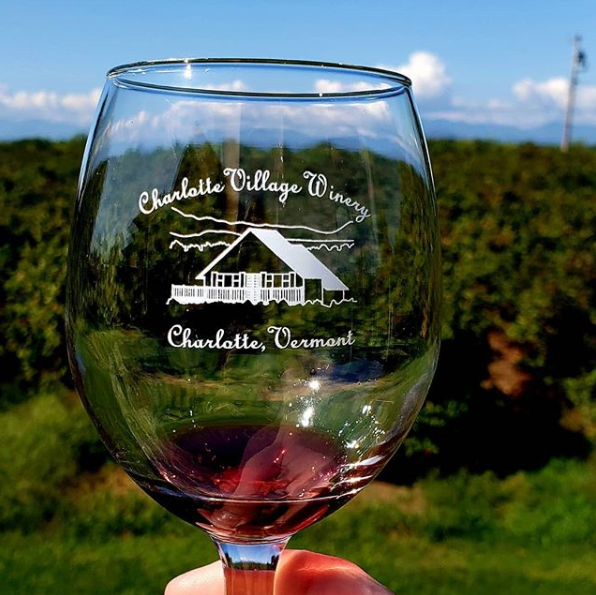 Then try the wines that really take the spotlight at Charlotte Village Winery: The fruit and blueberry wines. 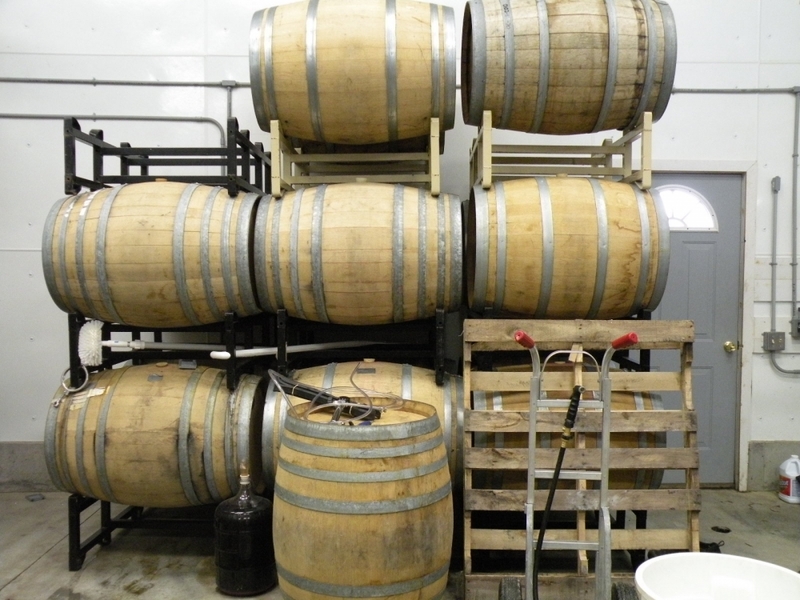 Our fruit wines include Peach Blossom, Raspberry Delight, Strawberry Blush, and Buddy’s Apple Crisp. 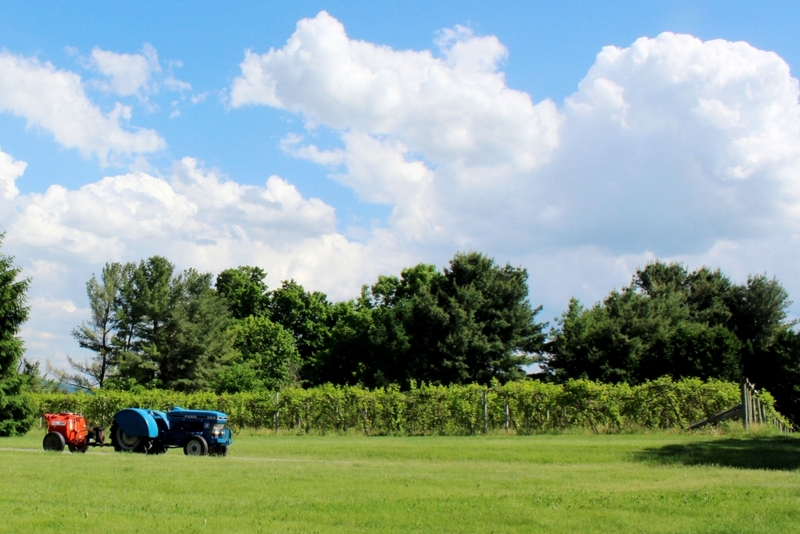 Our blueberry wines are made from the blueberry bushes that you’ll see surrounding our winery. These are also available for blueberry picking in the late summer. 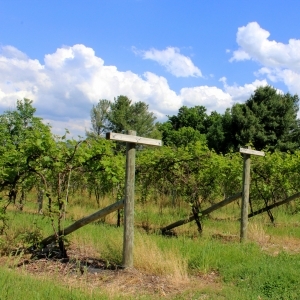 We have 3 unique blueberry wines. On the sweet side, we have Moonlight Blue. 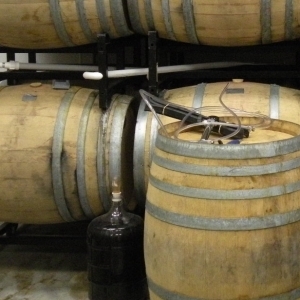 Then a great all-around wine is Country Blue Semi Dry. Finally, for something bold and dark, there’s Midnight Blue Dry Reserve. 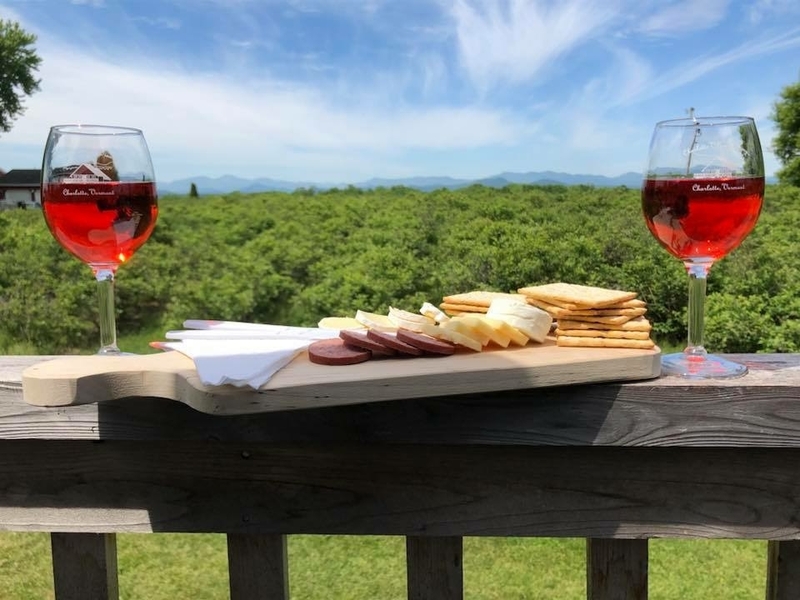 Tourists and first time visitors to Vermont drive from all over to try these blueberry wines, and they’re always worth the trip. Plus, there’s it’s a scenic drive through the Vermont countryside, especially in the fall, so that always makes the visit even that much more enjoyable. 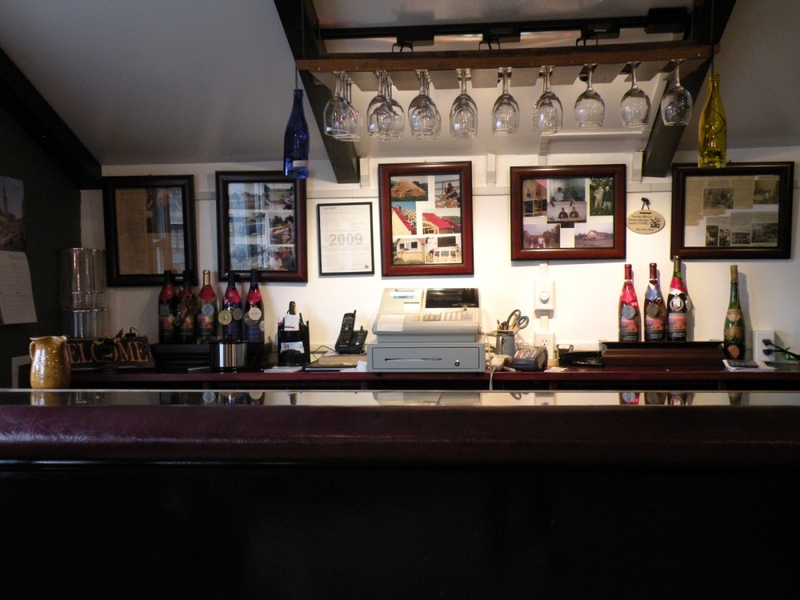 Our tasting room has plenty of room for you and your guests, so bring your friends and family. 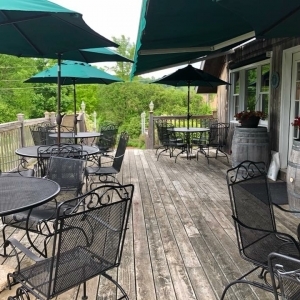 There’s a small indoor seating area, but several tables and chairs out on the patio for you to relax and sip a glass of wine. We can also make up a cheese plate for you to enjoy with your wine. 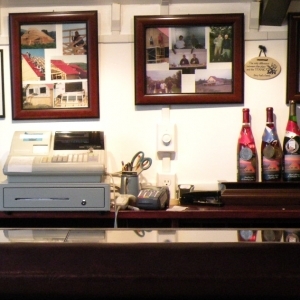 The tasting room has a small gift shop, with items like shirts, sweatshirts, and wine accessories. Pick up some gifts for the holidays, or take home something for yourself. 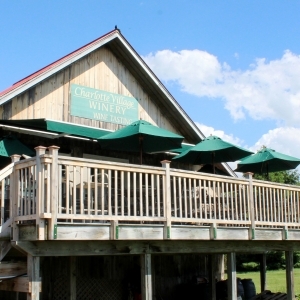 No matter where you’re coming from, we hope Charlotte Village Winery feels like home. Visit us today and see what we mean.